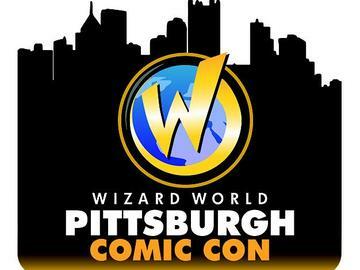 In less than 48 hours, we’ll debut a brand new panel at Wizard World Pittsburgh Comic Con. The panel, entitled Browncoats in Space: the New Space Age and a Real-Life Spacecraft Named Serenity, will take place this Friday, September 11 at 5pm in Room 304 of the David L. Lawrence Convention Center in downtown Pittsburgh. Our previous panel (One Small Step for Fans: Browncoats in Space) focused on how mankind’s fascination with the stars inspired the fantastic ideas of science-fiction, which in turn inspired new generations to explore space. This new panel, however, will focus on recent developments in the world of private spaceflight through NASA’s Commercial Crew Project, with an emphasis on SpaceX’s Dragon V2. Of course one thing this new panel will have in common with its predecessor is a discussion of the various ways in which Browncoats around the world can help convince SpaceX to name the first of its manned Dragon spacecraft after Joss Whedon’s Serenity. We’ll discuss our letter writing campaign to SpaceX founder and CEO Elon Musk and president Gwynne Shotwell, as well as our new online petition asking SpaceX to announce their manned Dragon’s name live at San Diego Comic-Con in July of 2016. With the fall season just a couple weeks away, we’ll also revisit our “Leaf on the Wind” campaign, which encourages Browncoats who may not feel comfortable writing a letter to show their support for the name Serenity simply by mailing a leaf to Elon Musk and/or Gwynne Shotwell at SpaceX. If time permits, we’ll field questions from the audience as well, and we may even have a prize or two to give away. So if you’re headed to Wizard World Pittsburgh this Friday, be sure to stop in and listen to our new presentation. As always, we welcome your feedback and appreciate your support.